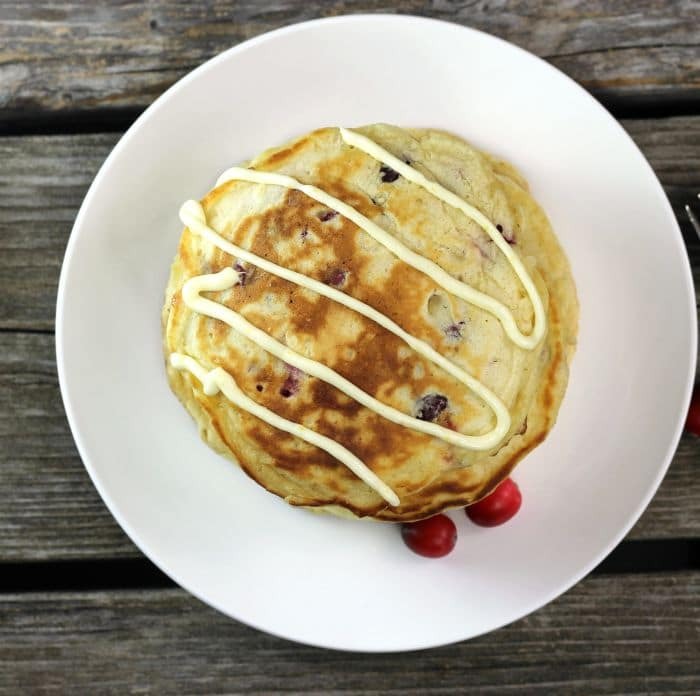 Cranberry pancakes with orange cream cheese icing are not your ordinary pancakes and syrup, it’s a whole lot better. Mike is turning out to be as big a foodie as I am. I have mentioned that he travels for work, which means that he eats out a lot. Once in a while when he eats something new and thinks it may be a good fit for my blog he will take a picture of it and send it to me. That is exactly how these pancakes came about, he had them for dinner one evening and he fell in love with the flavor combination of the cranberry pancakes and the orange icing they topped it with. I love the fact that he does this for me, as a blogger I am always looking for new ideas. 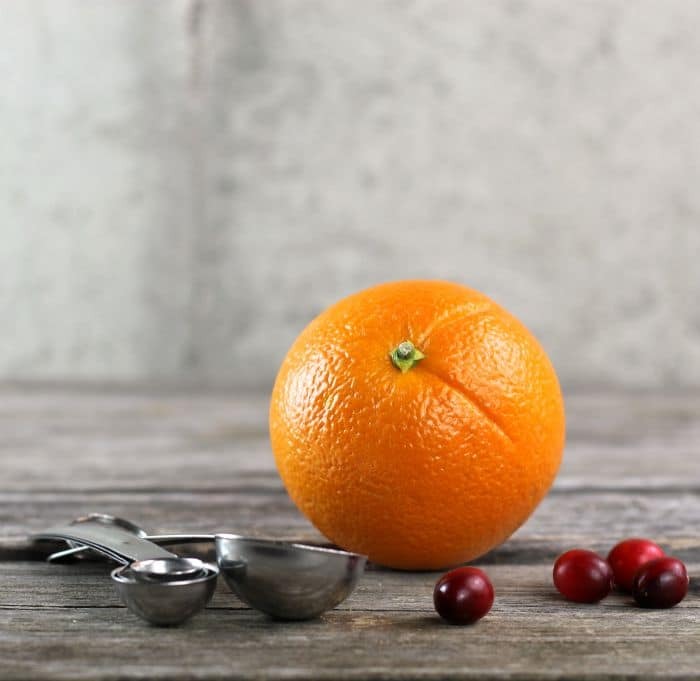 If you noticed I have a few recipes with the combination of the cranberry and orange on my blog cranberry orange pecan buns, cranberry orange cream cheese scones, and cranberry orange coffee cake just to name a few. Yep, I love this combination, so you can see why I was excited when Mike sent me the picture of the pancakes. 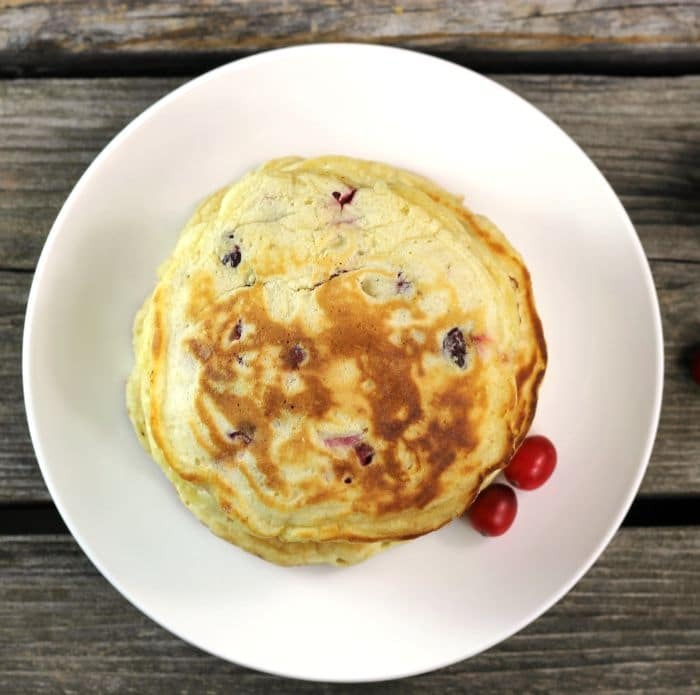 I used frozen cranberries in these pancakes, but fresh will work for this recipe as well. Another thing about these pancakes is that if you have leftovers you can store them in the fridge and heat them up in the microwave. They are just as tasty the next day as they are the first time around. That is what I did and it was nice to have breakfast ready in under a minute. If you are looking for a hearty delicious breakfast you have come to the right place. 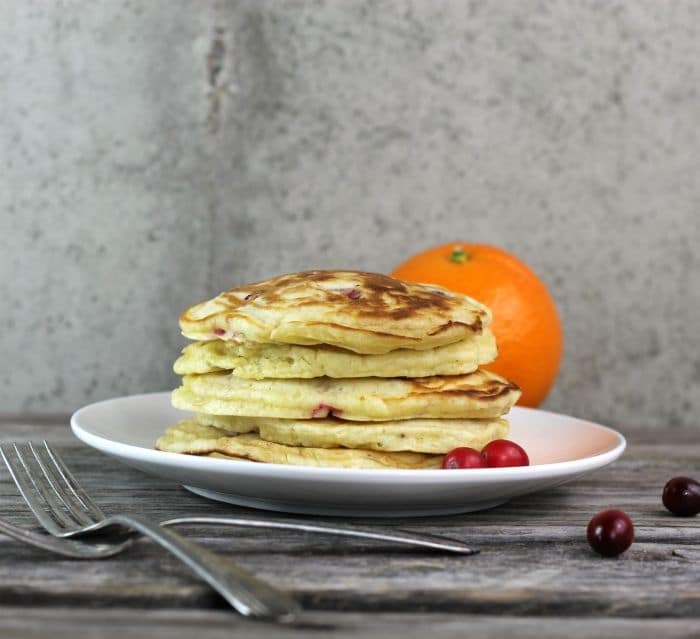 Try these cranberry pancakes with orange cream icing. In a medium bowl combine the flour, sugar, baking powder, and salt. In a small bowl slightly beat the eggs, add the milk and the melted 3 tablespoons of butter. Combine the dry and wet ingredients just until they are mixed together, don't over mix. Fold the chopped cranberries into the batter. Heat a skillet or a griddle. Add a little butter enough to coat the bottom of the pan. Using a large spoon or ladle add batter into the skillet. Cook for 2 to 3 minutes or until the top of the pancakes start to bubble and bottoms are browned. Continue to cook the overside for a 1 minutes or so. Add the cream cheese to a bowl and beat with an electric mixer. Add the butter an orange zest and continue mixing until well blended. Beat in the powdered sugar. Gradually add the orange juice until you have the consistency that you would like. Serve the pancakes hot off the skillet and top with the orange cream cheese icing. Additional butter will be needed for the skillet. Calories are just for the pancakes. The orange icing is not included in the calorie count. So very fluffy and delicious…I want some too! This is so creative! I’ve never made more than just plain pancakes. I have to say, I’m not the best in the kitchen but this is worth trying! It doesn’t look that hard to make. Lets see how this goes.. Thanks for sharing!